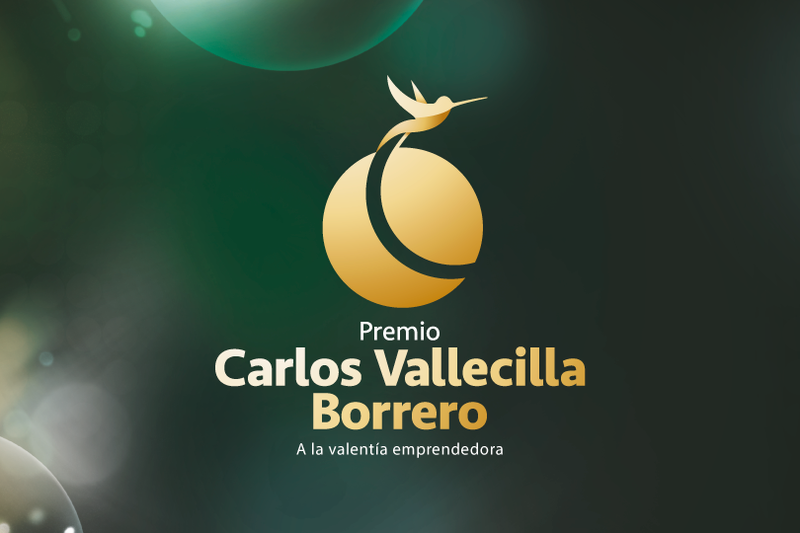 Home » News » FINALISTS TO THE ENTREPRENEURIAL AND COURAGE SPIRIT AWARD: CARLOS VALLECILLA BORRERO. Grupo Carval will grant today, December 18, $30 million pesos of seed capital to the winner and a mentoring package with their managers to 10 of the finalists. Cali, 18th of December, 2017- On December 14, the group of 20 entrepreneurs that were participating for the Entrepreneurial Bravery award, presented themselves before the jury panel, who evaluated the criteria defined to select the 10 finalists. The panel of juries was composed by: The Executive President of the Grupo Carval Liliana Vallecilla; the Former President of EY Colombia, Luz María Jaramillo; the Director of Entrepreneurship and Innovation Area of the Cámara de Comercio Cali, Isabella Echeverry; the Corporate Finance Vice President of Grupo Carval, Carlos Arturo Valencia; the Director of Business Development and Innovation, Juan Manuel Concha; the General Manager of Bioart, Mauricio Giraldo; the General Manager of Porcival, Tomás Magaña; the General Manager of Bionutrec, Natalia Caicedo, and the Corporate Affairs Director of Grupo Carval, María Fernanda Ríos. The criteria selected for the evaluation were: Clarity of the Business Model, Competitive Advantages, Level of Innovation, Social and Environmental Impact, Market Potential and Equipment. On Friday, December 15th, the finalists were published for the Final Gala: ECOBOT, Fiore Gelatería, Agrum, Vitality Sportswear, Evocoti, MaeFloresta, Mas Brownie, veos, Parkeep y Ttraver. These were the top 10 finalists. The final evaluation and award ceremony, will be held today at 4 pm at the Marriott Hotel in Cali. In the jury panel there are three new members: The President of the Cámara de Comercio Cali, Esteban Piedrahita; Leonardo Vallecilla, Member of the Board of Directors and Shareholder of Grupo Carval, and the President of Carval Leonardo Cerro. The event will be accompanied by Dr. Dilian Francisca Toro, Governor of Valle del Cauca; Mr. Maurice Armitage, Mayor of Santiago de Cali; Mr. Julian González, Secretary of Development of Cali´s Mayor’s Office of Cali; Members of the team of the Cámara de Comercio Cali; Mr. Pedro Bravo, Regional Entrepreneurship Leader of SENA; Bancóldex Executives; Mr. Jacobo Tovar, Administrative Director of Comfandi; Ms. Diana Duran of ASEC, Members of the Board of Directors and Executives of Grupo Carval, among others. This award is an initiative, which purpose is to contribute to the development of the entrepreneurial ecosystem in the region and to honor the legacy of our Honorary President and Founder of Grupo Carval, who is celebrating this year 75 years of entrepreneurial growth.